It’s not until you look at all your photo’s that you begin to realise that you are drawn to certain things to photograph. When sorting through my hundreds of pictures taken so far, it revealed yet another collection has been emerging over the months I have been out and about – Suffolk doors! Who would have thought doors could be so photogenic! It seems a shame not to share them with you – I hope you enjoy them! 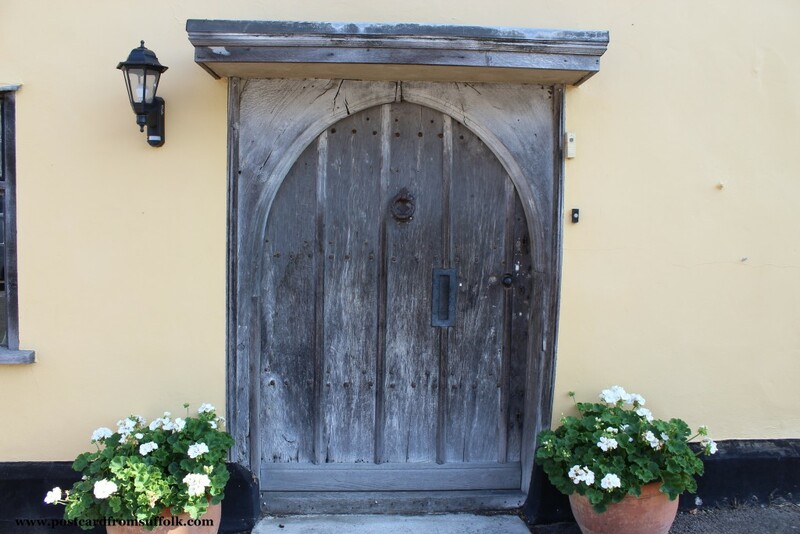 If you have photographed any doors you have found on your travels around Suffolk, please do get in touch – I would love to see them! I absolutely love Suffolk doors! and here’s a great one!! I should imagine this is one of the most photographed doors in Suffolk! I found this in the wonderful town of Lavenham last summer. Lavenham is an amazing place and definitely worth a visit! The colour of this door stopped me in my tracks! 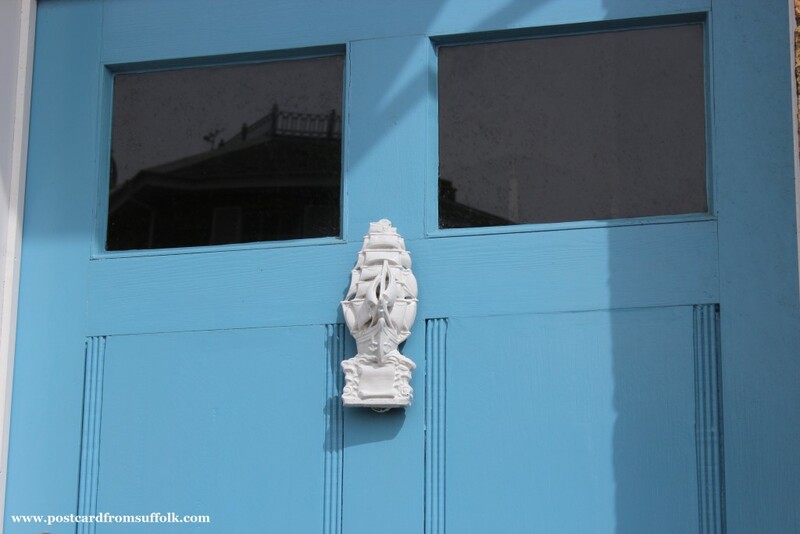 I really loved the ship door knocker and was tempted to knock to see if the house was inhabited by a sailor! 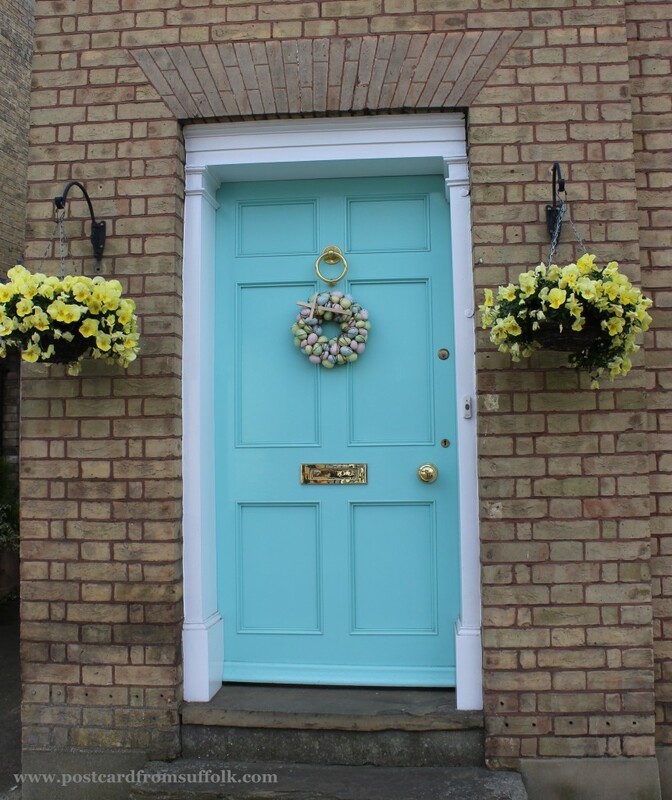 There are some lovely colourful Suffolk doors in Southwold have a look next time you visit and why not pop to Southwold Pier or the Sailors Reading Room if you have time! A small door on a very big house! Ok yes, its a nice door…..but you should see the house! 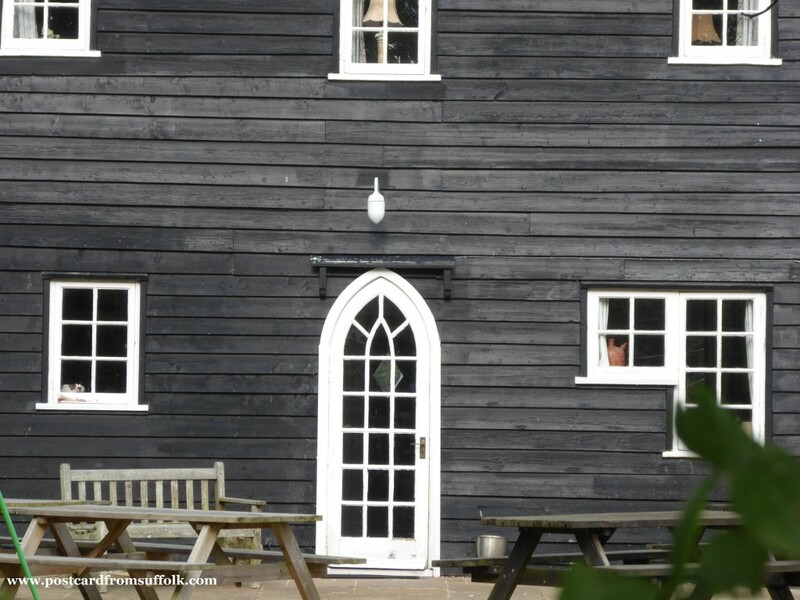 It’s probably one of the most famous houses in Suffolk – any idea’s? Click here to find out! A secret hidden cottage door! 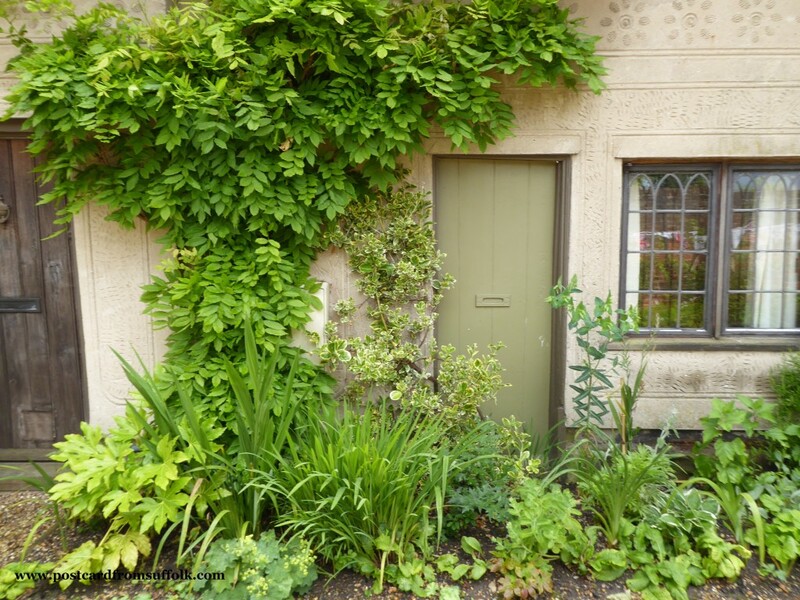 I found this door in Framlingham whilst on a tour of the NGS – Gardens open for charity event and took the picture as I loved all the different shades of green that complimented the door! I spend quite a lot of time in Framlingham and can often be found on the town trail walking around in an effort to keep fit whilst admiring the houses on route! This house was in a quiet turning, quite well hidden and the only reason I found it was because I was exploring local gardens through NGS open gardens, which is a cool event by the way, and would definitely recommend it if you are looking for inspiring ways to improve your garden! When I moved to Suffolk I always found it strange that many people do not use their front doors – they use the back one instead. I assume this is the case for the people who live here too! We all love a bit of glamour! 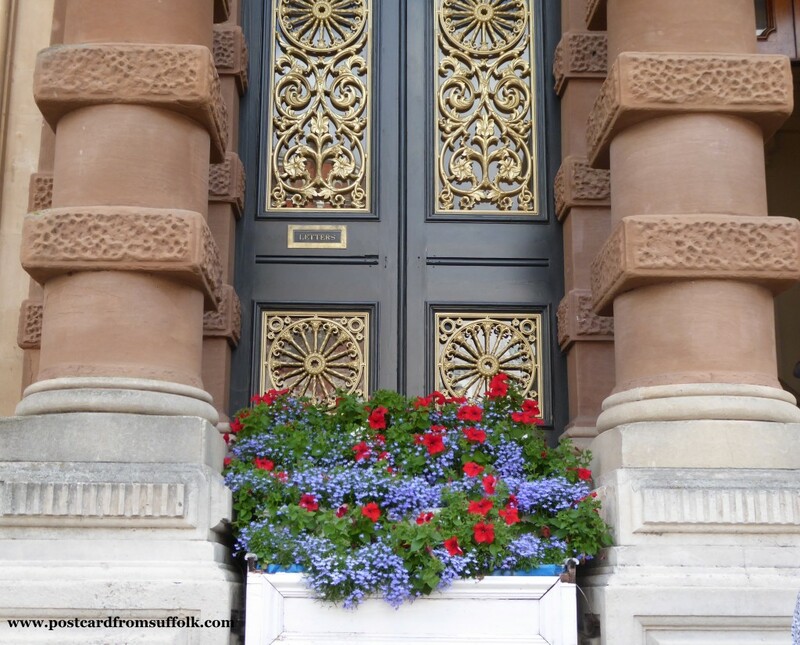 This door on Ipswich Town Hall looked great sparkling in the sunshine when I was out and about in Ipswich looking for Pigs Gone Wild! Next time you are in Ipswich why don’t you pop in and have a look around the Town Hall – there is somewhere to have coffee and cake or a light lunch and some lovely work to browse and buy from the Suffolk Craft Society. Although this door is perhaps not as eye catching as the other doors I have chosen, once I walked through it, it certainly was the most surprising! Click here to find out why! 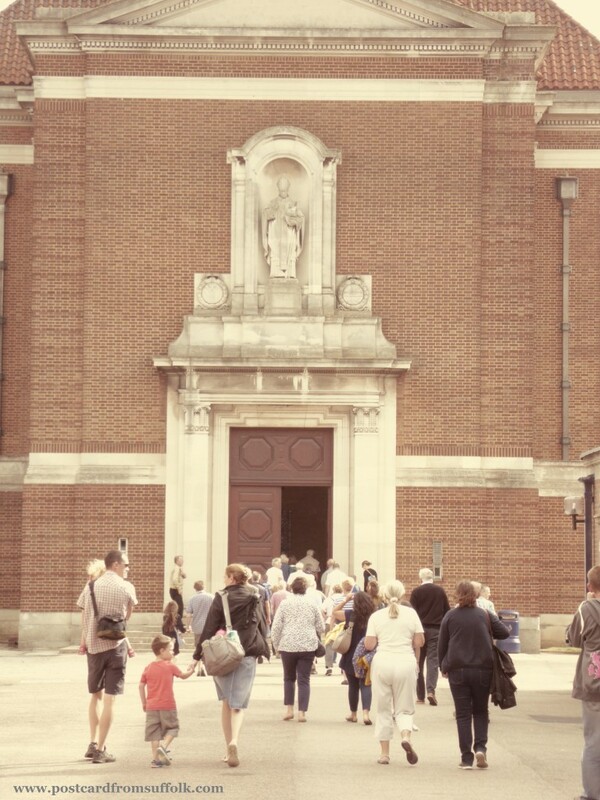 I attended a tour of the Royal Hospital School as part of Heritage Open Days which was one of my highlights of 2016. I can’t wait to explore some more amazing buildings this year and have already put the date in my diary! Door on a house with a view! 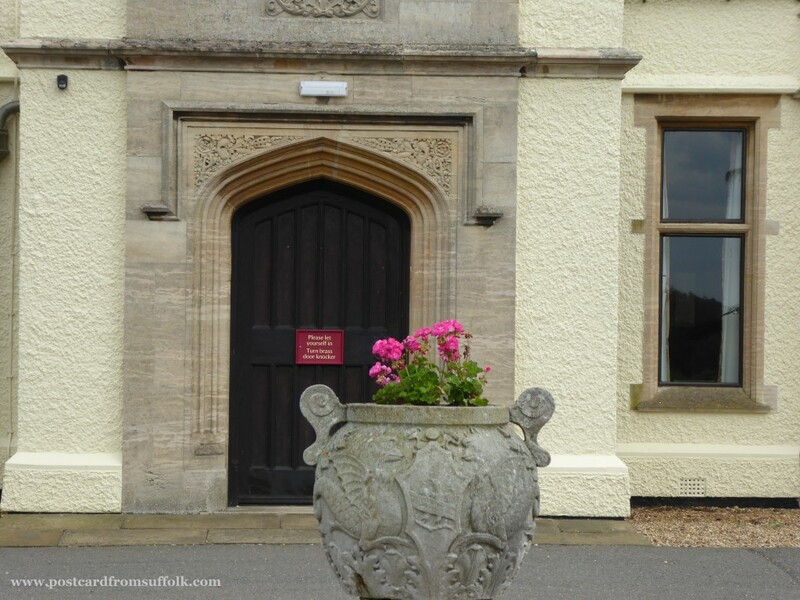 Tranmer House is in Sutton Hoo and is a great place to explore. I loved the door and thought it looked really elegant. The views of the surrounding area from inside the house were lovely too! We all start to get excited at Springtime and this door really cheered me up last year. It looked stunning with it’s wonderful Easter egg wreath! I loved everything about this door! My last door is from Bury St Edmunds. Bury is a great place and always springs to mind when I have a day off and fancy going out for a mooch! 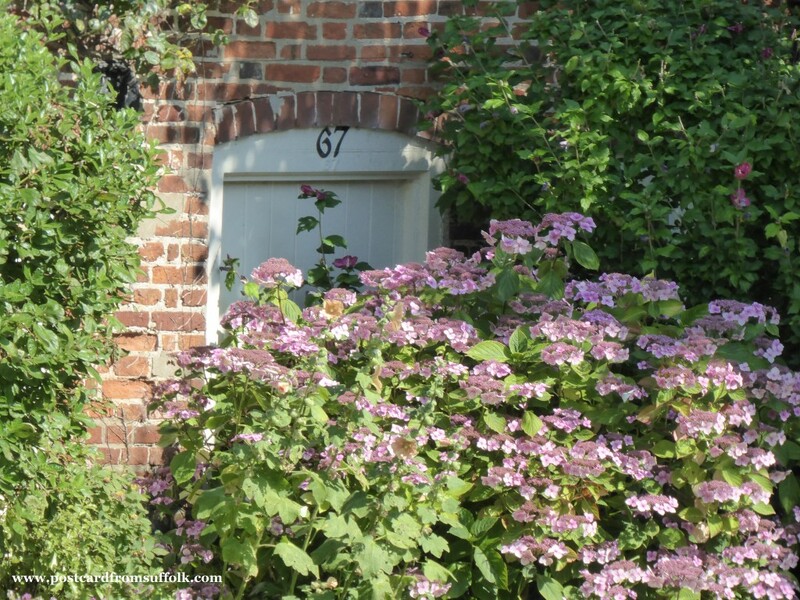 I discovered this door when researching for my blog on Abbey Gardens and it looked so lovely, complete with all its pretty flowers. 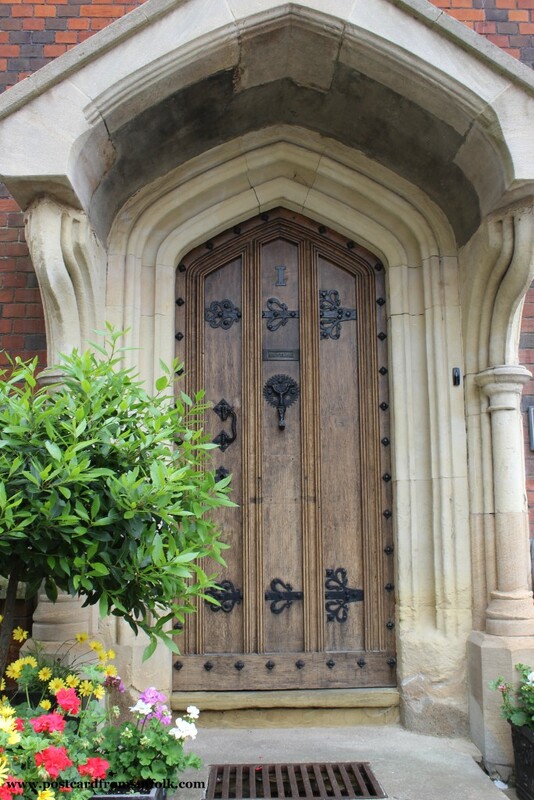 I hope you have enjoyed discovering all the fab doors I have found whilst travelling around Suffolk. If you enjoyed this collection of photo’s I also complied my Top 10 Favourite Cars which you may like too! ← My Top 10 Favourite Cars!